Local Matters: Alaska + Indigenous Communities was an experience unlike any other that we’ve offered here at Philanthropy Northwest. From October 11 to 14, we joined a cohort of 62 people from philanthropy, nonprofits and government for a unique, immersive experience as part of First Alaskans Institute's 32nd Annual Elders & Youth Conference, followed by the opening of the AFN-NCAI Tribal Conference. Our participants came from across the country and from within walking distance of the convening. Half hailed from Alaska and half from "outside." Just under 40 percent self-identified as Alaska Native and/or Native American. So what was different? One of our challenges was understanding ourselves how different this gathering would be and then, of course, communicating it. 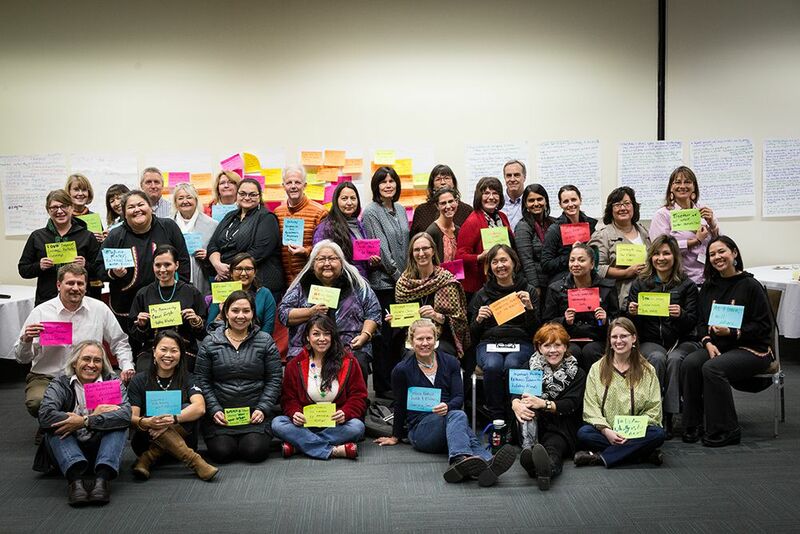 Guided by our board, our Alaska Native and Native American leaders and allies, and our ongoing commitment to community building in Indian Country, we suspected that we were onto something big. We were honored to be joined by FAI trustees Willie Hensley (Chair), Lt. Gov. Byron Mallott, Sven Haakanson, Jr., Valerie Davidson, Sam Kito, Sylvia Lange, Georgianna Lincoln, Oliver Leavitt, elder Della Cheney, and other Alaska Native elders. We are excited about taking what we've learned from Local Matters: Alaska + Indigenous Communities, along with our other Local Matters programs this year, and applying this to our programming in 2016. We'll be returning to our regional annual conference format for 2016 (stay tuned for news about time and place in December! ), but we'll be working hard to bring you place-based conversations and experiences in a variety of forms throughout the year. As always, we welcome your energy, ideas and engagement — what do you most want to learn in 2016, and how can we help you do it? Lyn Hunter can be reached at lhunter@philanthropynw.org. For more about Local Matters: Alaska + Indigenous Communities, see our photo gallery or Jeff Clarke's blog post. Part of an ongoing theme emerging--should funders do the convening or perhaps is it more effective for funders to be included in a community convening. I love how the quotes in this blog post capture the experience from a variety of participant perspectives--making me realize that I sometimes need to be more open to hearing the "stories" of an experience rather than trying to summarize/synthesize a gathering into one "story."